Sibling rivalry in riotous rhyme! Blog post by Education students, Catherine Ayres and Jessica MacLeod. 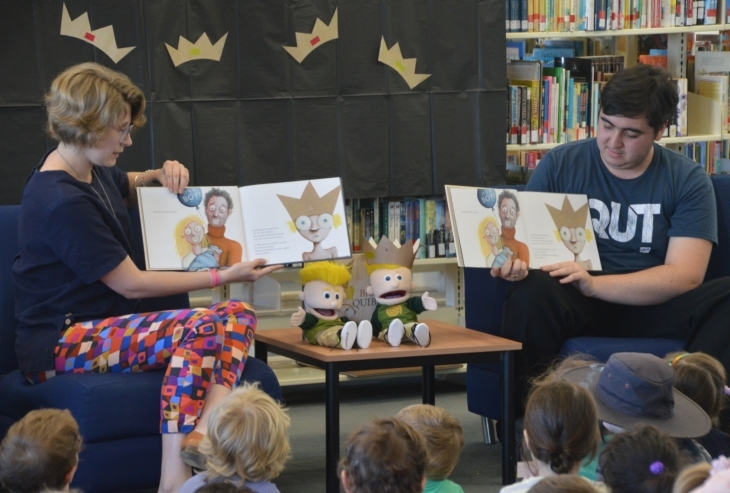 Last Wednesday, QUT Kelvin Grove Library held a National Simultaneous Storytime event with enthusiastic attendance from forty children (aged from three to five!) belonging to C&K, Herston Road and C&K, School Street. 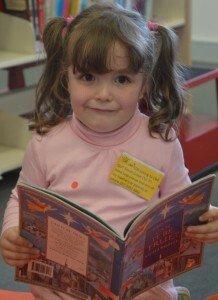 National Simultaneous Storytime is an annual campaign held nationwide to encourage reading and literacy, with children coming together to listen to an Australian storybook … simultaneously! Student volunteers, Catherine and Aaron – no, not Aaron Blabey, a different Aaron! 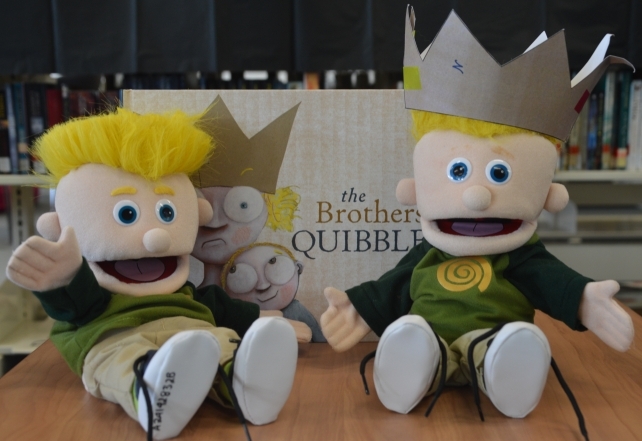 The book chosen this year was The Brothers Quibble written and illustrated by Aaron Blabey, a rhyming riot of sibling rivalry which was well received by all our guests. There were lots of giggles! 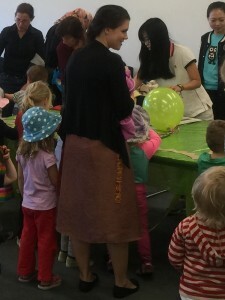 Eighteen student volunteers from the Education Faculty helped the librarians run the day’s program, which involved reading the book at 11am (with the rest of Australia! ), discussing it as a group and then breaking off into various activities within the Curriculum Collection (4th floor). ‘grown up’ supervisors made their journey back to Kindergarten. It’s debatable who had more fun – the volunteers, the librarians, or the students – but whatever the answer, everyone agrees it was a rousing success, and we cannot wait to have them back in the Library soon! Many thanks to Education students, Catherine Ayres and Jessica MacLeod, who wrote this post for us.